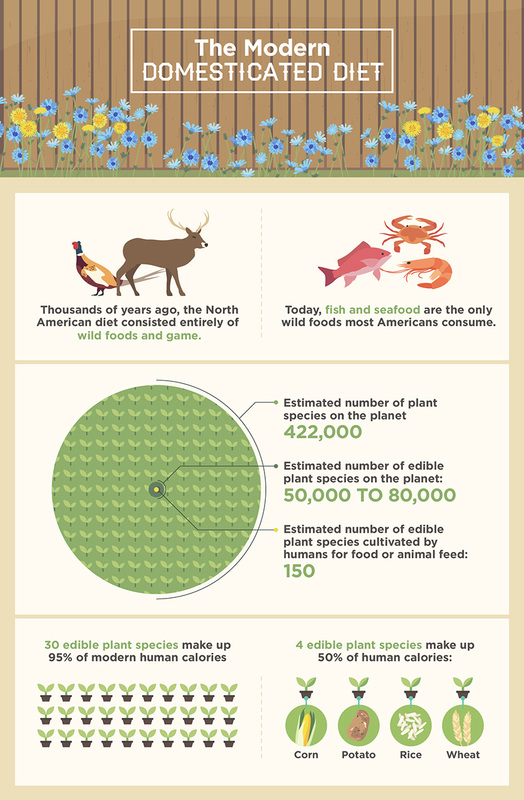 Editor’s Note – There may be more edibles in your backyard than you think. Next time you go out to weed your garden, you may be able to harvest them for the dinner table rather than tossing them aside. Read below to find out more. This article was originally posted on FIX.com and written by Abby Quillen. Are you ready to take advantage of the bounty of highly nutritious, free food that’s available steps from your back door? First, you must learn to identify plants with absolute certainty. Get started with these common edible plants that grow nearly everywhere, perhaps even in your own backyard. Unlike our ancestors, most of us did not grow up picking and eating wild greens. If it feels daunting to differentiate between dozens of common weeds, remember that you’re learning a new skill, and it will take some time. The payoff? A bounty of fresh, nutritious food. The first step to identifying plants is to use your senses to examine them. But don’t taste anything yet. How do different plants look, feel, and smell? Are they large or small, hairy or hairless? What color and shape are the flower petals? How are the leaves shaped? Small details are important when identifying edible plants. Scout your yard, garden, or neighborhood for the plant. It probably won’t be difficult to find. These plants are called weeds because they grow and flourish nearly everywhere. However, some have poisonous (or safe but less tasty) doppelgangers, so you’ll need to be absolutely sure you identify the correct plant. Nothing beats a real-life expert guide.6 Check online and local bulletin boards for foraging classes, workshops, and plant walks in your area. Contact your local extension service, community college, botanical garden, and garden centers: sometimes these organizations sponsor classes. If none are available locally, consider an online course. A number of apps are also available to help people identify wild edible plants.7 Always consult more than one source before tasting anything. Pick greens from your lawn if it is unsprayed, free of pet waste, and located away from roadways. For the most flavor and nutrition, pick young plants or harvest a plant’s tender new growth. Prepare wild greens as you would spinach. Toss them in a salad, steam, or sauté, or add to recipes that call for spinach. Edible wild plants are generally very safe for healthy individuals when they’re eaten in normal quantities as part of a healthy, varied diet. However, as with any food, it’s best not to eat unusually large amounts. And that’s especially true for people with certain health conditions, such as thyroid, blood, kidney, or gallbladder disorders.1011 When in doubt, ask your doctor. The following recipes are delicious with any of the wild greens listed above, or with a combination. Learning to harvest and prepare common edible wild plants is a delicious way to connect with nature, add nutrient-dense foods to your diet, save money at the grocery store, and contribute to a sustainable food system. After all, food doesn’t get more local than your very own yard. Once you discover the abundance of superfoods hiding in plain sight, getting dinner becomes a wild adventure.